Yellow is a bright and vibrant color. Yellow is a color that brings warmth and smiles. It can range from warm and golden to creamy soft pale to bright and bold. 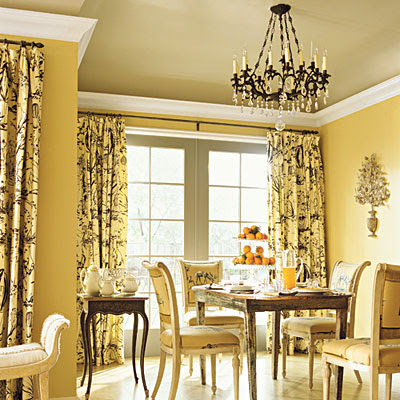 I love yellow for it's warm and welcoming properties. As an accent color on a piece of furniture or pillows or even blanketing a whole room. 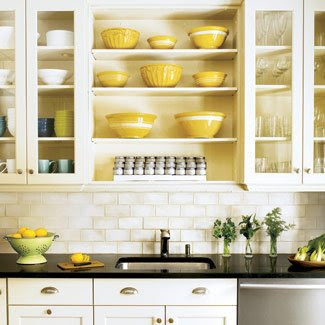 I love a sunny kitchen with white cupboards and yellow paint- so gorgeous. or a bathroom enveloped in sunshine. I even painted my bedroom a beautiful yellow. I love how warm it feels in this room even when it's cold outside. Have you thought about adding a little yellow? Painting an entire room or maybe just adding a few accents? I am always searching for inspiration for different colors or projects. so these are just some of the rooms I found inspiring for different reasons. if you would like to follow along. it's not yellow but I am excited to see how it turns out! See you Thursday afternoon for Feathered Nest Friday!! You know what's funny about this post? I'm painting my family room yellow tomorrow. That is, after reviewing thousands of swatches in every color of the spectrum. The rest of my house is mostly yellow so I thought, why not? I was left wondering what the heck took me so long to come to that conclusion, because ever since, I've been seeing yellow walls all over the place, and now this post! It must be a sign that I'm doing the right thing. Have a great day! 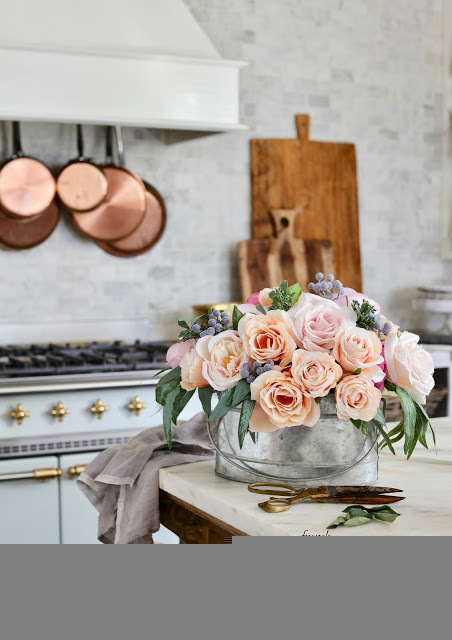 French Country is my Favorite Style! Love it! Oh, what happy sunny spaces. I love the pictures you shared. Thanks, also for taking the time to comment on my paintings twice. I'm not sure what happened to your first one! I repeat too , DO NOT PAINT so perfect bedroom .It is my favorite.I love it!!! 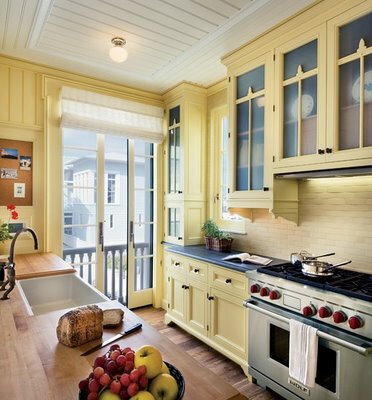 Love all the cheery yellow especially the yellow cabinets in the kitchen. How beautiful would that be every morning? Oh Yes, I have a lot of yellow in my home. Most of my walls are a shade of yellow. I love this color its so happy and brightens up the darkest of days. Pretty, Pretty photos..
Great inspiration finds. I love yellow and these pictures make me longing for summer. Just a few more months...! I love yellow paired with pink. Yellow is so inspiring. A beautiful series of pictures today! 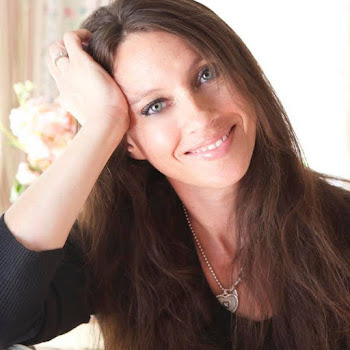 These images are just beautiful, Courtney, but I love the picture of your bedroom the most! it is so warm and has a coziness about it. I just finished up my family room with a pale lemon yellow on the walls. I was afraid I had made a mistake but it is so pretty, during the day when the sun is shining through and even at night, it glows. I'm very happy with it! 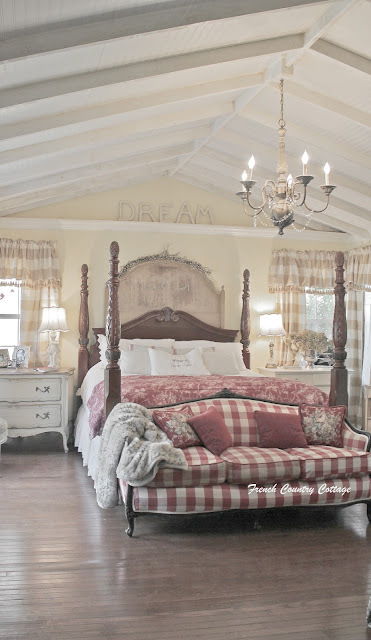 Your bedroom is so very magazine worthy!! really beautiful! I love the warm glow of yellow. It's a tough color to pick right, though. We painted our kitchen a horrifyingly bright burn-your-retinas yellow, before having the paint guy help us pick the perfect creamy, buttery yellow. Gorgeous images! Thanks for sharing. I think this has become my favorite color!! All these photos are beautiful. Brightened my day. Your bedroom is one of my favorites ever. I'll always love the sofa in there! 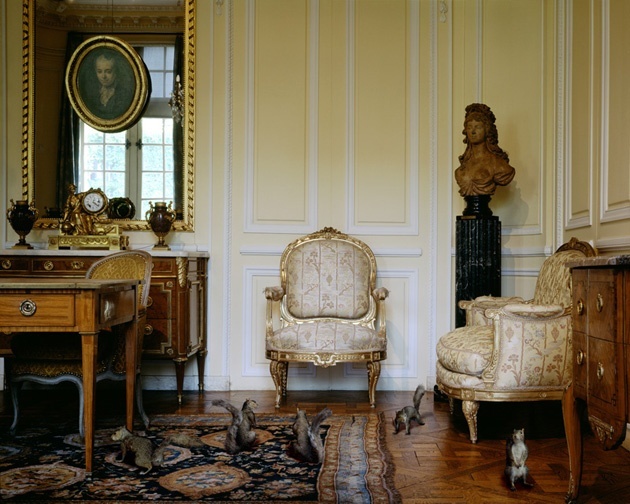 And, as far as the photo with the squirrels, when you said "why are there squirrels in in this room" I thought that was just very funny! I have a lot of yellow and golds in my home. Have the most beautiful taste! the squirrels are cardinal rally squirrels! Just had to throw that in from a st. Louis girl! Love your bedroom. It looks so cozy and restful. I feel so much better! I've never shown pics of my bedroom because it's (shhh) yellow and NOT white! Maybe I need to spruce it up and actually let it be seen....it's my husband's favorite color and he painted it himself because he was tired of all that white! LOL Those are so pretty and sunny! Thanks! I am still cracking up over the squirrels. What was that?? Love all these wonderful bedrooms, but yours is the best. I still adore the settee at the end of your bed. 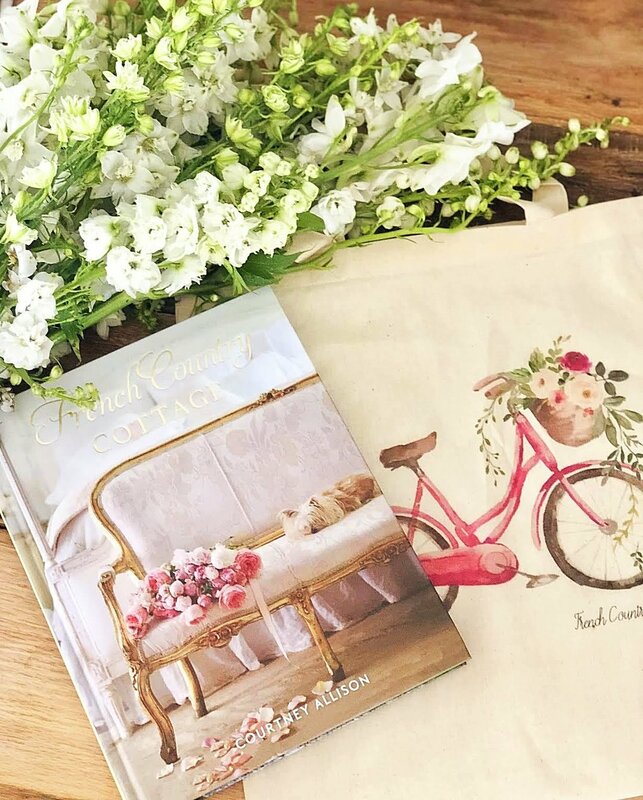 The images are gorgeous and your bedroom, oh so beautiful as the rest of your home. I too love yellow..My main floor is painted in SW Blonde, a subtle soft yellow...My bedroom is currently in the same color, however, thinking about painting it SW Silvermist, but will still have some pops of yellow...This will be done after I change out my bedding to PB Lewis Paisley..one of my 2012 projects...Yellow is my favorite color..it is such a Happy color! lol! I just cracked up with that photo of the squirrels, Courtney! What in the world....???? lolol! Maybe they live in a really fancy tree someplace in Sherwood Forest or something..... hehehe! Gorgeous - and your bedroom is to die for Courtney - by far the nicest on your post. I'll look you up on pinterest right away!!! Wonderful inspirational rooms, yours is number one filled with inspiration! I can't get over those squirrels!!! Too funny! Lovely images. 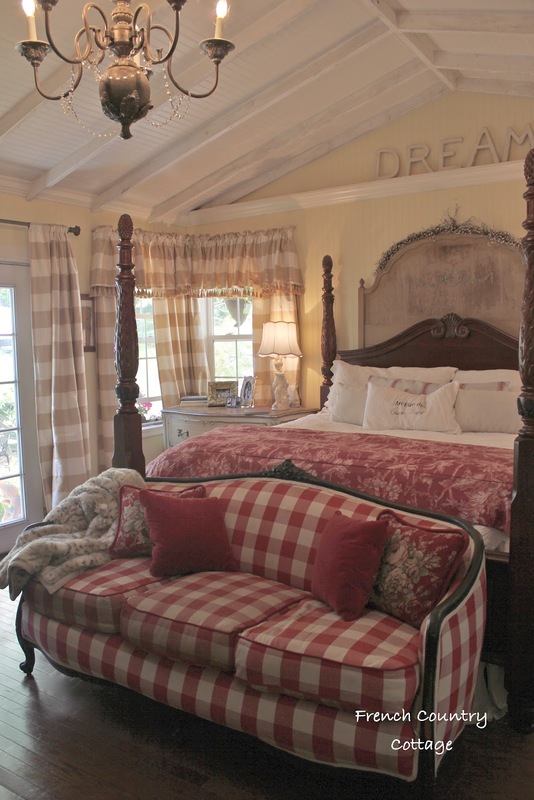 Especially the bedrooms! How I wish a bedroom makeover were in the budget! 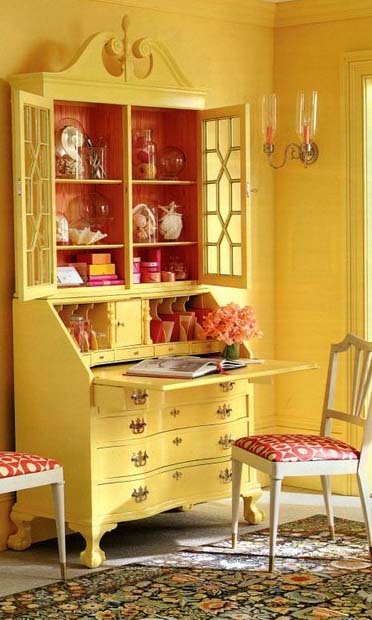 I'm an interior painter and I once worked in a kitchen with yellow cabinets and trim. In fact it looked a lot like the kitchen in the picture. Sorry to say it was the ugliest kitchen I've ever seen. It might look pretty in pictures but in real life ... oy! So pretty. 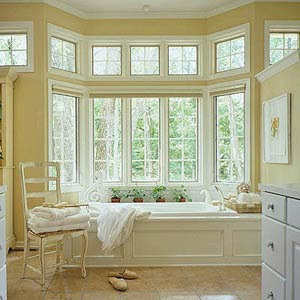 I've been crushing on a little yellow myself too (as an accent)...along with pale pink, raspberry, pale light green, etc. Your bedroom is so awesome. No yellow in my house, but I love all the inspirational pictures you've shown, and of course, I just adore your bedroom. Oh what beautiful spaces in yellow...I love yellow too and my bedroom walls are yellow too. It is just such a warm and happy color to me. By the way Courtney your bedroom is absolutely beautiful. This was so fun, I think yellow is so happy and the rooms are truly inspirational. I just added a tad bit of yellow to my entry...maybe I need to brave up a little and add a tad bit more. love your blog. 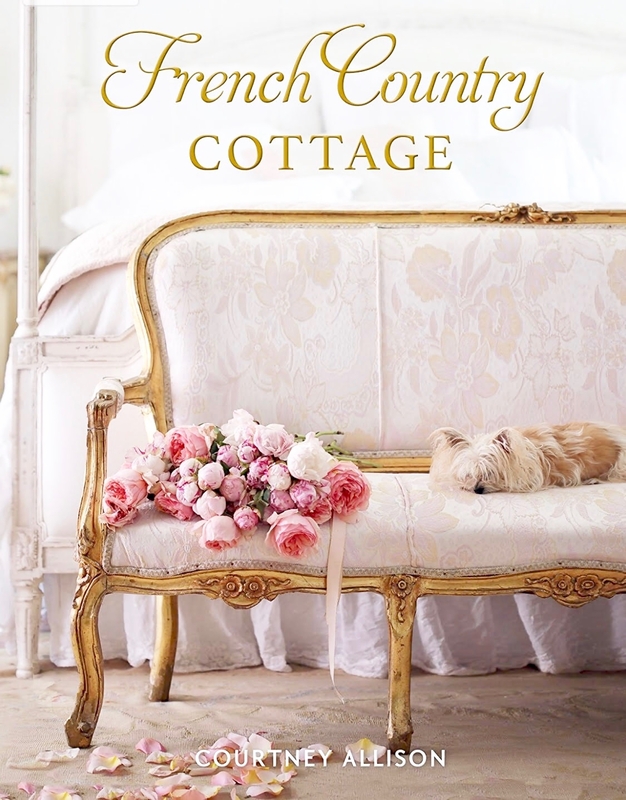 i'm a major fan of shabby chich and french country. i have a cape cod home that i decorate in yellow and white and its so fresh and fun. don't change a thing. your home looks great! I have long-term love affair with yellow. I like the creamy buttercream all the way to bright clean yellow. I really hate mustard, brownish muddy yellows. I think your bedroom is beautiful, and I am in love with that sofa. I need some yellow in my house! Great inspiration photos. Can I ask where you got the photo of the white cabinets and yellow dishes? Is it yours? I would love to use it for my design portfolio but need permission. Thanks! Hi Ellie~ That is not my photo-just an inspiration photo. I would try pinterest or google for a source. Your bedroom is so beautiful. What is the paint color? Courtney, the squirrels cracked me up! Even though your post was written over a year ago, I do love pale, pale yellow but I didn't want any yellow in my home after having a yellow kitchen for 8 years (it was the wrong shade of yellow) Don't know why I lived with it so long, guess it wasn't a priority to repaint the kitchen. 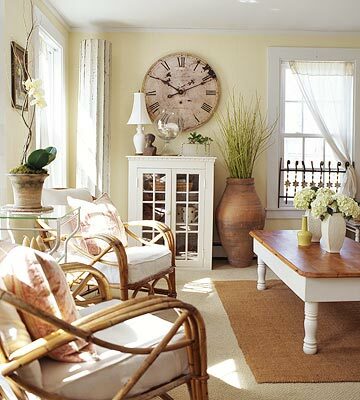 I just redid my living room and wanted a soft pale cream so i chose Benjamin Moore linen sand. Guess what? It had yellow undertones and at first I didn't like it but now I love it! If I had painted my room a beige or taupe it would have been too much beige. It's a very soft color and really looks good for the coastal cottage look I was going for. Yellow is a great color in the right shade. Hope to link-up my new room on Friday. 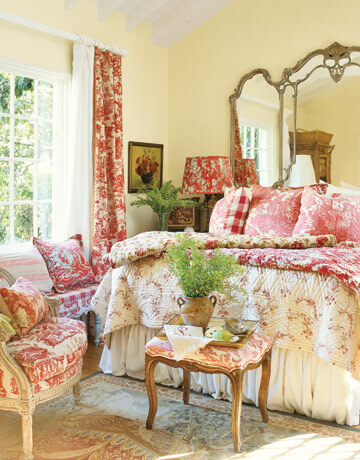 Love, love, love your bedroom!